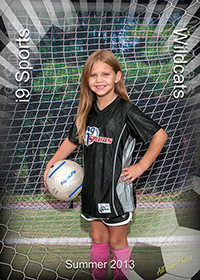 Team and Individual photos for youth sports teams, leagues, events and tournaments. Senior, Engagement, Bridal and special event portraits available with professional photographer Tom Mousseau Get noticed with a "Head Shot" that sets ahead of the crowd. 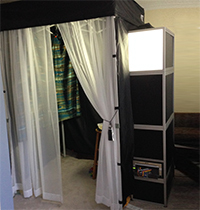 Our photo booths are the perfect addition to your reception, party or special event. All-Star-Photos is the premier provider of team and individual photos for youth sports leagues throughout the greater Raleigh, Durham & Chapel Hill area. We provide teams and leagues with an exceptional "Picture Day" experience that is sure to please everyone. We offer a great selection of custom prints, photo packages and specialty products, all for great prices. Our attention to detail separates us from the competition. The level of planning and expertise which go into every photo shoot takes the hassle out of picture day. We provide plenty of staff to make the photo day flow well. From Football, Soccer, T-ball & Baseball, Cheer-leading, Lacrosse, Swimming, Karate, Basketball to Tennis we have done it. We cover the Raleigh, Durham, Cary, Apex, Holly Springs, Fuquay Varina, Garner, Knightdale, Wake Forest and beyond. Tom Mousseau will capture and create a once in a lifetime portrait to commemorate those special times of our life's. Specializing in High School Seniors, Bridal & Engagement portraits. His unique style and creative process results in images you will cherish forever. Contact Tom to schedule your portrait session. Get Attention, you take pride in your acomplishment, make sure you have a profile picture which reflects you. 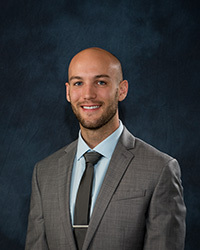 A great head shot is the perfect way to make a good first impression online. Whether it is for personal use, social media or professional use, a good head shot will set you apart. All-Star-Photos "Booth", the triangle's premier photo booth. Our photo booth will be the hit of your party or special event. A photo booth is the perfect addition to any event or party and it will leave your guests with a lasting keepsake to remember that special day. We custom designed the photo booth to create a unique and fun photo booth experience you and your guests. Choose from several packages and options to create perfect match for your event. All-Star-Photos offers youth sports league photography, portrait photography, event photography and photo booth rentals. To contact us, our office hours are 9:00 am - 5:00 pm, Monday - Friday.